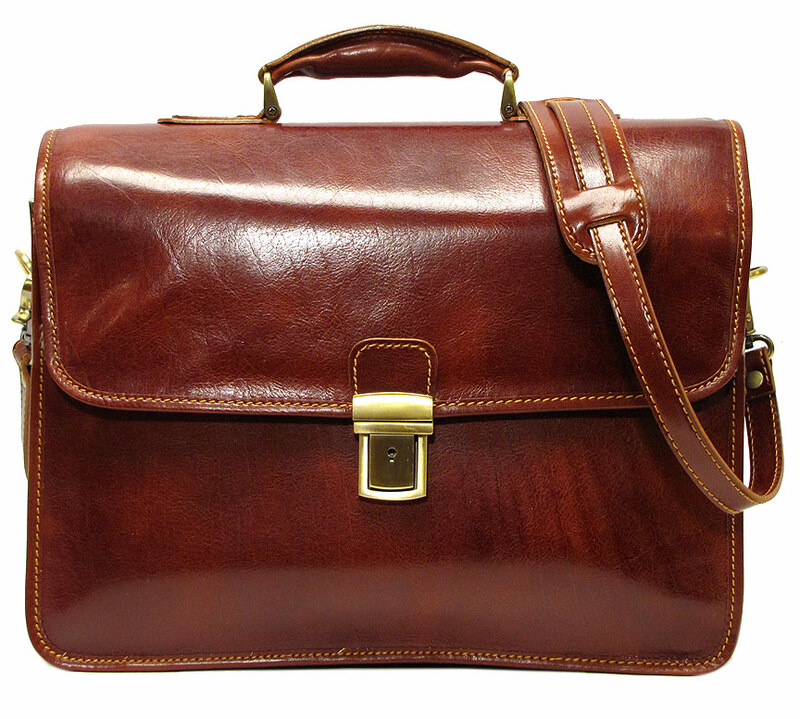 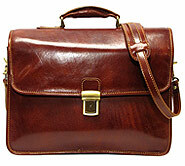 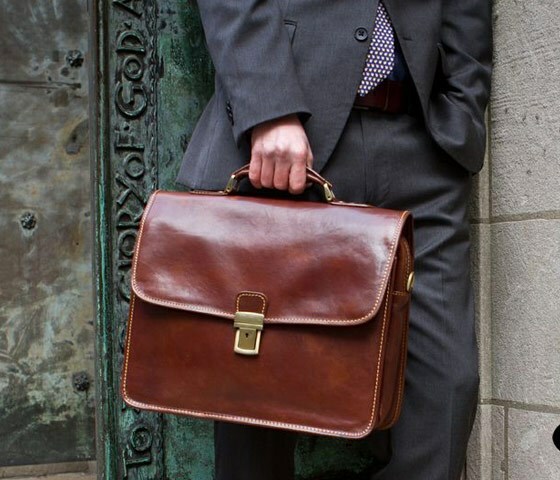 The Cortona Briefcase comes in 2 colors – Vecchio Brown and Olive (Honey) Brown. 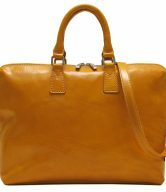 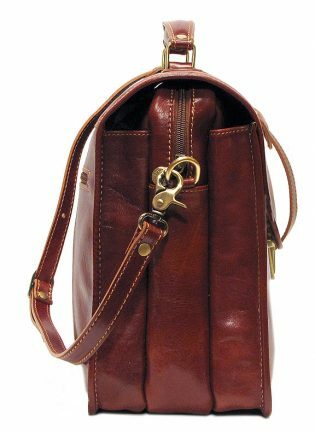 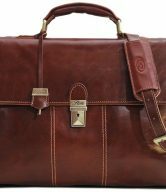 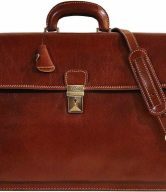 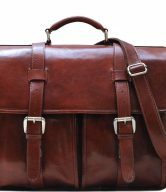 The Cortona Laptop Briefcase Bag from Floto handles like a dream with its molded handle design. 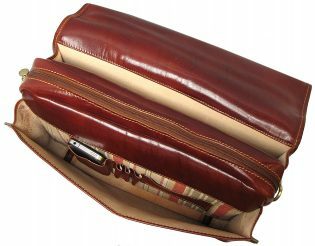 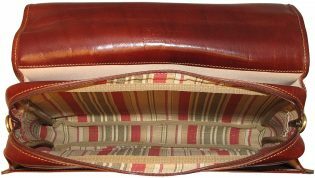 The interior is big enough to hold a laptop, files, a newspaper, and notebooks. 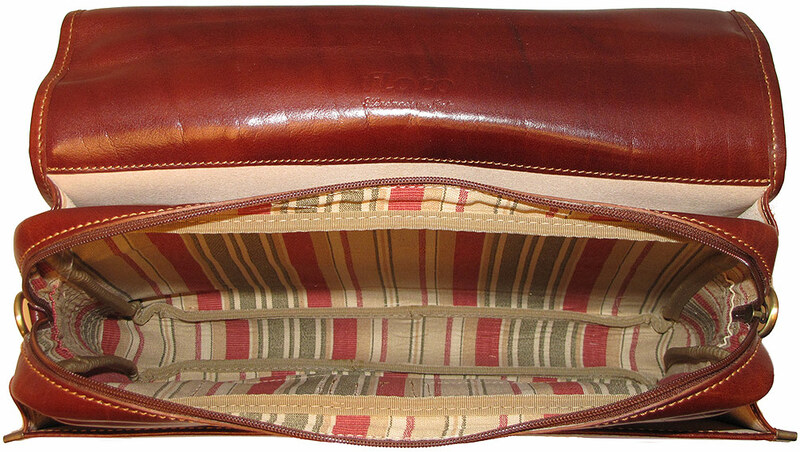 It has an external zip pocket and 3 internal compartments – the middle zip compartment is for laptop storage. This provides good protection for you laptop so that it can’t be poked and prodded from the outside.